Faced with the pressing challenges of our changing world, every light worker has been called to perform an essential mission: work daily in the light, stay focused on the light, be the light of the spiritual Self. In her groundbreaking new book, Working in the Light: Daily Reflections, Starsha Dawn invites the reader to join her on a yearlong mission to project light and love to heal and uplift the Earth as we enter the New Age of Aquarius. 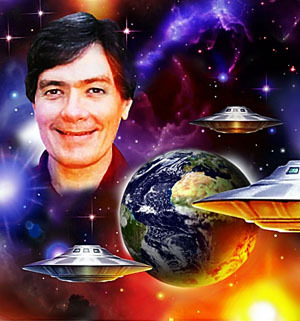 Drawing upon more than fifty years of experience in metaphysical studies, Starsha guides us on a personal, daily journey. Working in the Light presents a project for each day of the calendar year. The 366 entries, each one less than a page in length, offer an astounding range of thought-provoking insights, creative visualizations, inspiring stories and observations, spiritual mini-essays, illuminating “aha” moments, and light-worker calls to action. Every topic is a radiant gem through which to focus your light and love. Certainly, the reader will find amplified power in unifying with other light workers who are training their thoughts and prayers on the same project on the same day. Working in the Light delivers a daily dose of inspiration for coordinated spiritual action. Yet, the book also doubles as an aid for your I Am attunement at any time, regardless of calendar date. You can sit for a few moments in quiet meditation, then open the book and let Spirit guide your attention to a particular entry. The Copper-Bottom Pot, Wrapping Yourself with Light, Choose Your Future, Using Cosmic Law, Letting the Answer Come, The Tower of Babble, The Hershey’s Kiss of Light, Ode to My Body, Learning to Be Free, Lighting the Beam of Love, I Await in Joyful Hope, Speaking the Word, Sometimes You Just Need a Little Nap, Healing the News, A Thorn in Your Side, Accentuate the Positive, Looking through the Screen Door, Singing the Earth Higher, and hundreds more! Starsha Dawn has been a Mark-Age member since 1974, has attended a number of our seminars, and has visited headquarters several times. 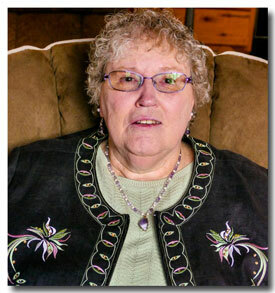 For many years we eagerly have followed and have encouraged her spiritual gestation of Working in the Light. Now that Starsha’s dream has materialized in print, everyone can join her on a daily mission to help raise Earth into the New Age. Highly recommended! 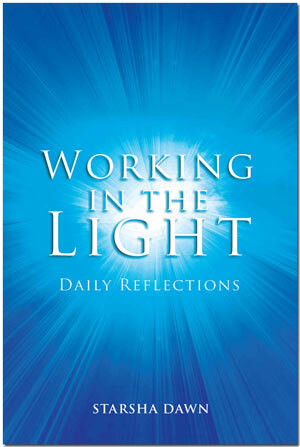 Working in the Light: Daily Reflections. Bloomington, Ind. : Balboa Press, A Division of Hay House, 2017. Buy it online at: www.balboapress.com, www.amazon.com or www.barnesandnoble.com. For more information, please visit Starsha Dawn’s website: www.workinginthelight.com. Photos: (1) Working in the Light, cover image courtesy of Balboa Press. (2) Starsha Dawn, courtesy of the author. Thanks, Phillel. I’ll need several of these.